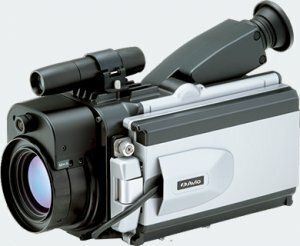 The AVIO (NEC) H2640 high resolution thermal camera, features a 640 x 480 image resolution, 0.03°C accuracy and a large 5.6" LCD Pan/Tilt display. With simultaneous Visual and Thermal Image capture and Fusion, means you can achieve accurate and quick results. The AVIO R500EX series features a high resolution 1.2MP SR Thermal Image (1280 x 960 pixels), with a 5MP Visual image and a temperature resolution of 0.025°C and ±1°C accuracy.